Tennessee has a mandatory seat belt law. However if you were not wearing a seat belt at the time of your car or truck accident, that fact will probably not hurt your case. By statute, in Tennessee, the failure to wear a seat belt is not admissible into evidence in a lawsuit. The same is true even if you were given a citation or a warrant for arrest was issued. The one main exception to this general rule is in product liability cases. Product liability cases are when a person is injured or killed by a defective or unreasonably dangerous product. In a car or truck accident case, a product liability case might arise against your vehicle’s manufacturer if, for instance, the airbags failed to deploy in a significant crash. 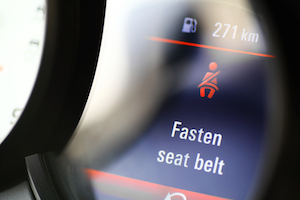 If you pursue a product liability case, the failure to wear a seat belt is admissible under certain circumstances. If you would like to discuss this important seat belt issue with one of our award-winning lawyers, call us anytime at 615-742-4880 or toll-free at 866.812.8787 for a no-cost, no-obligation consultation. We handle all accident cases on a contingency basis so we only get paid if we win.